Ascentra Credit Union is a financial institution, established in 1950. They engage in banking, lending, insurance, investment and even business services. They offer best and even the lowest rates regarding any mortgage or loan to consumers. They offer services to people serving in various Quad Cities through eight dedicated branch locations including Clinton, Bettendorf, Moline, Muscatine and even davenport. They even have dedicated electronic services including mobile banking, e-mail alerts and online access to personal accounts. Customers' investments are federally insured to about $250,000 with the Government of the United States. They had even achieved 'CUNA Marketing & Business Development Target Marketing Diamond Award' in 2011. There are currently 0 consumer reviews about Ascentra Ascentra available. Share your review. 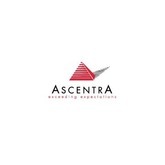 Please take a note that you are about to post a public review about Ascentra Ascentra corporate office on CorporateOffice.com. This review will be public, so please do not post any of your personal information on this website. If you would like to contact the corporate offices of Ascentra Ascentra, please use their contact information such as their phone number, website, and address listed above to contact them. However, sometimes staff from Ascentra Ascentra headquarters do read the reviews on this website.